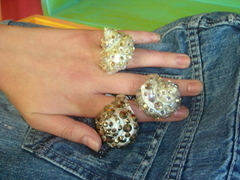 Welcome to Sandra Dee Art-- the home of "wearable art". You can browse through the available one of kind belt buckles on this website or order a custom design of your own! 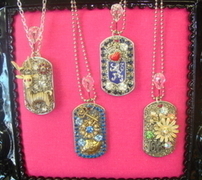 Sandra Dee creates each piece of jewelry individually with recycled vintage jewelry and new Swarovski jewels. 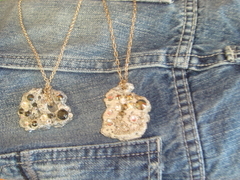 Sandra Dee has added other accessories to her unique belt buckle line-- "Girl Tags", bejewelled shell rings, and "Space Coast Moon Rock" necklaces. Have fun exploring these unique wearable art accessories!